Samsung’s SM951 was a hot item when it was first announced, but unfortunately, it was intended as an OEM-only drive making it hard for prospective buyers to snag one. To make matters worse. there was a great deal of confusion abound surrounding early announcements versus actual launch day capabilities, a major point of contention being the inclusion of NVM Express protocol support. It turns out all SM951 drives are AHCI only models; at least until now, that is. Just like its slower AHCI sibling, the SM951-NVMe uses a PCIe 3.0 x4 interface that offers a theoretical max of 4GB/s (which is the limit of the M.2 interface, incidentally). Other features such as L1.2 low power support (the SATA equivalent of DevSleep) are also retained. 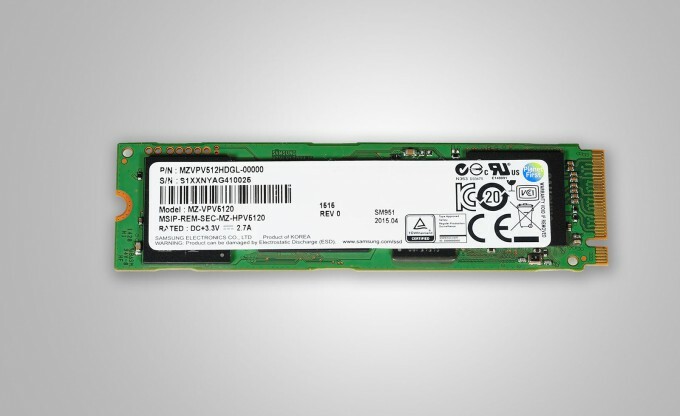 No word is mentioned regarding pricing as the SM951-NVMe is still intended to be an OEM-only product, however it is a safe bet major etailers will be acquiring SM951-NVMe models at some point (now available at Amazon and Newegg). In fact, word is RamCity will be offering it through Amazon in the near future. That said, if the M.2 form-factor is not required, then Intel’s 750 PCIe drive looks to be a serious contender as well. Either way, enthusiasts will now have multiple options to choose from when looking for a NVMe SSD with >2GB/s performance.